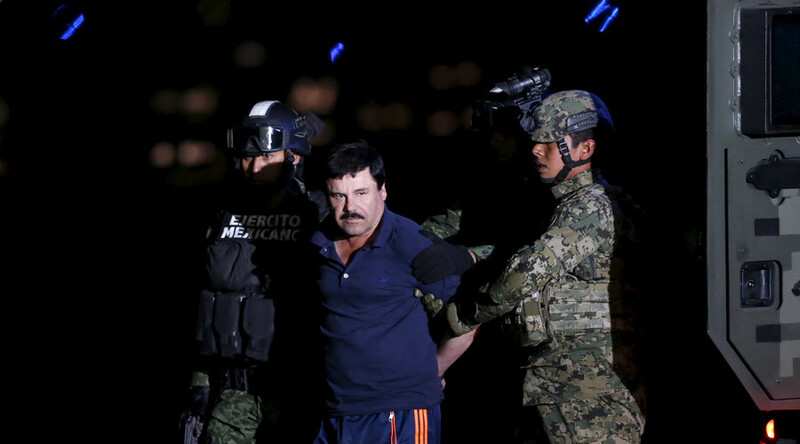 The infamous Mexican drug kingpin wanted to make a biopic, and this helped authorities to track him down, officials said after Joaquin ‘El Chapo’ Guzman’s arrest on Friday. An “important aspect that allowed us to locate him was that we discovered Guzman’s intention to make a biographical film, for which he established contact with actresses and producers,” Attorney General Arely Gomez said, as cited by AFP. “The follow-up work allowed us to document meetings between attorneys of the now-detainee and these people,” she added. Gomez gave no further details, but indicated that the newly emerged evidence will provide a new line of enquiry into Guzman’s escape. 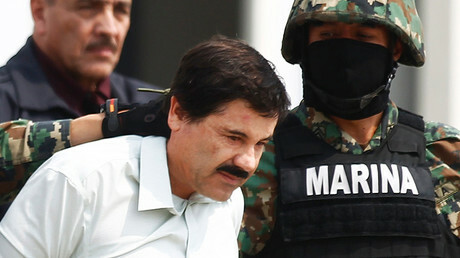 Guzman was recaptured in his home state of Sinaloa on Friday, six months after he escaped from a maximum-security prison near Mexico City. He was first located in Durango state in October, but security forces decided not to open fire, as ‘El Chapo’ was with two women and a child, according to Attorney General Gomez, as quoted by AP. After the incident, the drug lord went underground and limited his communication until he moved to Los Mochis two months later. On Wednesday and Thursday, after a month of surveillance, authorities determined that Guzman was inside the house they were staking out. Early on Friday, the marines started an operation to capture the drug kingpin. They were met with gunfire and five suspects were killed. Six others were detained. One marine was injured in the operation, AP reported. Guzman escaped through storm drains and used a manhole to get to the street. However, he was later captured in a car on the highway and arrested. Guzman’s July 11 prison break was branded Hollywood-like, because the drug kingpin managed to flee via an elaborate tunnel. A Mexican production company, Dragon Films, has already made a movie titled, “El Chapo: The Escape of the Century”. The film is set to premiere on January 15.